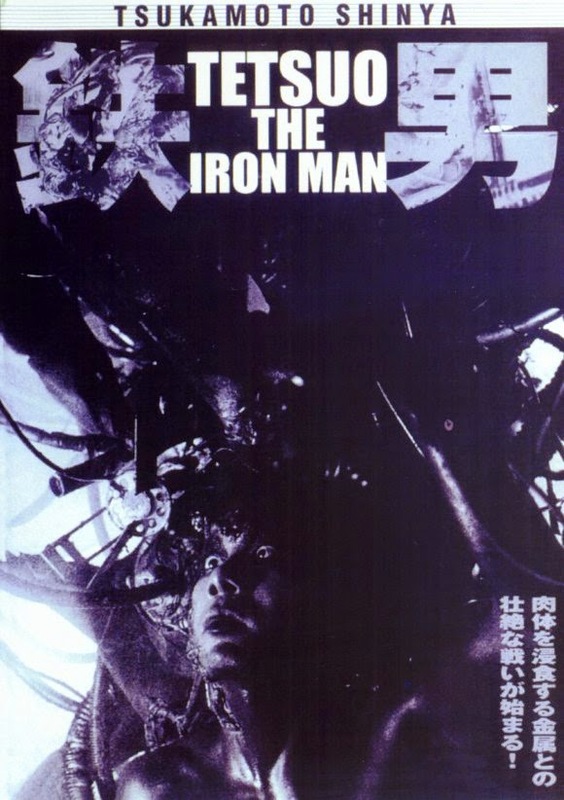 Tetsuo: The Iron Man is an experimental Japanese sci-fi horror film that will really knock you off your rocker with its absurd-surrealist insanity. The best I can do by way of a plot synopsis is say that it's about a cyborg who gradually loses his grip on what little humanity he has left as his mechanical half progressively takes over his body, but I can't really be sure that's even accurate. It is absolutely bonkers. Tetsuo shares a lot in common with two other student films I adore. It opens in an urban dystopia quite reminiscent of the dilapidated city David Lynch created in Eraserhead, and it shares a similar atmosphere of obsessive paranoia to that which Darren Aronofsky evoked in Pi. It combines these elements with sexualized gore and practical effects which reflect David Cronenberg (particularly Videodrome and eXistenZ) along with its own unique brand of demonic editing which frenetically splices horror into apparently mundane situations, undermining the audience's safe distance. It plays on primal fears concerning body anxiety and the nature of perversion, and elevates these with some truly creative and ambitious storytelling. The extremely low budget is occasionally apparent particularly in the sound editing and sound mixing departments, but thanks to some wonderful makeup and effects design as well as its truly unique presentation, this is a film I won't soon forget and one I would readily recommend to anyone looking for something distinct and potentially disturbing. It pushes all my buttons, and I invite anyone interested to see if it pushes theirs. The Boxtrolls: Beautiful Box, But What's Inside?